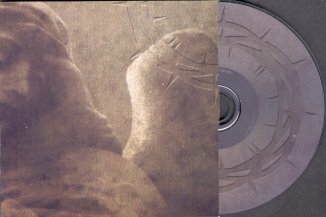 cult of catharsis - This split CD from Aftermath Music showcases two very interesting bands of the more current Norwegian Black Metal scene: Cult of Catharsis (not in activity) and Opus Forgotten. It’s Cult of Catharsis from Bergen the band that starts off the split with the 5 tracks of Lord of the Gallows, and it’s catchy fascination at once, cause Cult of Catharsis are melodic, cadenced bringers of catchy loops and intense emotions with a touch of Epic which never transcends. Cult of Catharsis seem to find a good inspiration in Old School influences in direction Celtic Frost . Hyper heavy biting riffing support with agility the musical soundscape that is atmospheric but also very present, dynamic, very alive, not too contemplative, with just some light spicing up of folk/viking/heavy rock elements. Nice the piano/synth and the fluent verses. The vocals are very varied ranging from blasphemous low screamings/growls to round mighty singings almost in clear that could cast a spell even to those who like Prog and Symphonic. The techniques are very accessible and underline the pounding midtempo/uptempo and the moderate spheric background. Tempo changes are not predictable and well performed. Although some very short vocal passages seem a bit discordant with the main melody, this never affects the pleasantness of songs well structured, not boring, which the listener will like immediately. 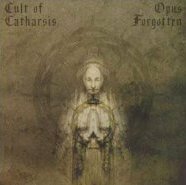 The target of listeners can be very huge, so I would suggest to spread the voice that Cult of Catharsis delivered so much quality in so an immediate and agreeable way. We don’t find fiery tremolos and walls of fire, but Cult of Catharsis are obscure and worshipping, mystic enough, with a heavy rhythmic session, with attractive solos and a nice variety of timbre. Blade of the Prowler has an irresistible Heavy Metal / Viking appeal and is one of the best tracks of Lord of the Gallows. Rage and Thunder has a choir-magnetism and a resolute heavy modern proceeding: it is another nice track with insertions of piano-notes, with a killing tempo change and a deep melodic intermezzo. It’s a song that gives a lot remaining in coherent trace, where modern obsession goes hand in hand with another dimensional atmosphere. Lord of the Gallows, like the opener In times of the Oath, presents vocal passages with some line of its own but provided with a certain good doom attitude. This is also a very wide , gloomy interesting track, this time under the subtle spell of Pink Floyd, of acoustic sadness and of Gothic too. Too bad that this band (whose members are engaged in other acts too ) doesn’t seem to be active any longer. A reason more why this split can be seen as an occasion that should not be missed.